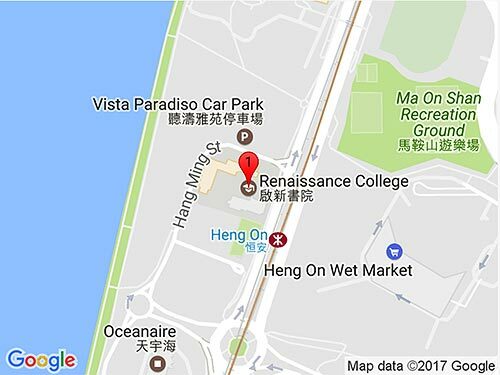 RCHK is located outside Heng On Station, on the MTR Ma On Shan Line. Take Exit A for the subway link into the campus. The bus routes are 43X, 81C, 85K, 89C and 681P. The mini-bus routes are 801, FoTan to Yiu On; 807A, University MTR Station to Ma On Shan Town Centre; and 810, Sha Tin Central to Ma On Shan. All stop at Vista Paradiso, adjacent to the school. There are cycle paths alongside Sai Sha Road. Alternatively you can plan your MTR journey here.